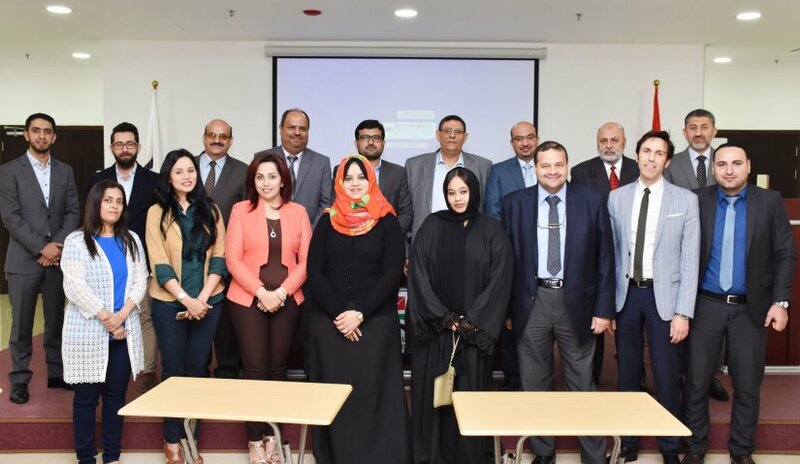 The College of Business Administration organized a lecture entitled “Budget as an Effective Tool in Planning and Control” as part of Al Falah University’s activities for faculty members’ professional development. Prof. Attiea Marie from College of Business Administration spearheaded the event. As part of the lecture, Prof. Marie discussed detailed quantitative plans for financial and non-financial needs over a certain period of time in the future to achieve a set of goals. He presented examples of these budgets such as budget of sales, production, procurement, raw materials, wages, sales and administrative expenses. He also addressed the subject of cash budget which determines the deficit required to be financed by banks and financial institutions or the surplus used in repayment of loans and interest. Towards the end of the lecture, faculty members were given the opportunity to ask questions.